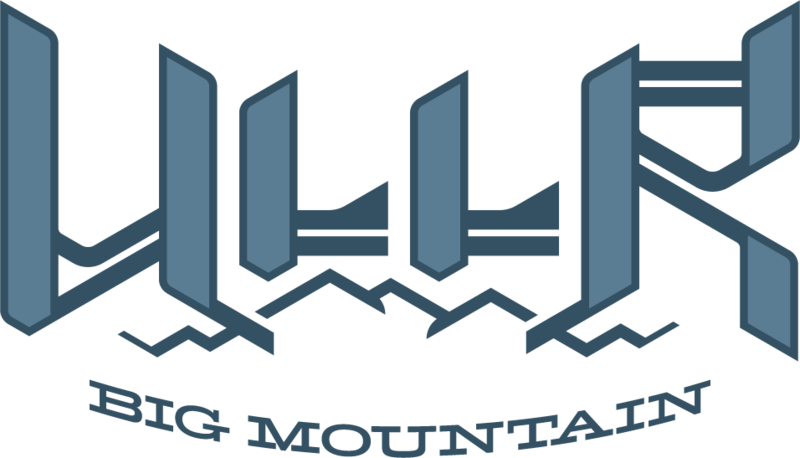 Ullr Big Mountain is notably distinct from other local freeride teams in at least six respects. Our home hill is Lake Louise Ski Resort, but we have a few training days each year at Sunshine Village, Kicking Horse, and COP (and we offer one extra day of skiing at all our competition venues). Our program orients a bit more toward participation in the Canadian Jr. freeride circuit. (All our athletes are encouraged to participate in at least one competition per season, while the older athletes may do as many as seven). We are the only local freeride team that has a certified advanced skills aerials coach, and that offers sanctioned aerials training. As a team, we keep the ‘free’ in freeride, but lean slightly more than other local freeride teams toward the structure you might see in a traditional freestyle team (why reinvent the wheel?). Our team is open to barter (trading services) for some portion of team payment. We are committed to setting aside 1% of overall team fees, each year, toward athletes that would like to be on our freeride team, but are struggling to find the means to do so. Our 2018 – 2019 coaching staff, click for more information. Learning how to skillfully and safely jump on snow is a key element of big mountain competitive skiing. It also presents opportunities to make free skiing, in general, very fun. While we try to encourage participation in the local freeride circuit, this is really only a means to finding our athlete’s ‘best skiing self’ and then taking these skills into the back country. Just a few pictures and videos, Click Here to access our full gallery.